At the 2004 MMOPA Convention in Palm Springs, we introduced the new MAXIMA Propjet for the Piper Malibu and Mirage aircraft. The new MAXIMA -10 Propjet features the legendary Garrett Dash 10 (TPE331-10) turboprop engine. With over 1,00 shp of thermodynamic power, the Dash 10 makes the MAXIMA -10 the most powerful conversion for the Malibu or Mirage! 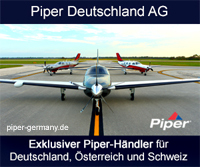 This means higher performance than other turboprop conversions or the Piper Meridian. In addition, with a specific fuel consumption (SFC) of 0.56 lb/hp/hr, the Dash 10 is the most fuel efficient of all turboprops in its class. This combination of power and efficiency provides faster climb rates, faster cruise speeds and longer range. With the STC expected in the Spring of 2005, we offered very special introductory prices at the MMOPA Convention. This pricing was $50,000 below what the prices will be once the STC issues. 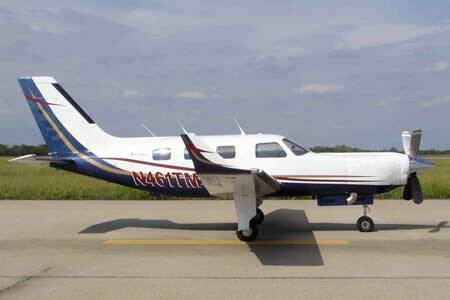 Guaranteed to outperform any other turboprop conversion, the MAXIMA -10 was offered for an incredibly low price of $399,000 with a 5,000 hr TBO / 0-TSOH engine. The lower cost Dash 5 conversion was offered at an MMOPA special price of an $335,000 - also with a 5,000 hr TBO / 0-TSOH engine. We realized that many owners were not able to attend the MMOPA convention and thus were not aware of this exciting new conversion nor the special offers. Therefore, we have decided to extend this special offer to allow all MMOPA members to have this opportunity. Owners who make deposits by November 10th (one month following the convention) will still receive the MMOPA special prices. After that time, the prices will go up to the Pre-STC prices which are $25,000+ more. A $10,000 deposit will hold a delivery position and guarantees the MMOPA pricing. We also realize that with a major decision like this, owners like time to consider all options. We are so sure that owners will find the MAXIMA -10 (or - 5) to be their ideal aircraft, that we have provided for depositors to have 30 days following the deposit to cancel for any reason and receive a full refund of the deposit. This allows owners to lock in the special pricing, yet still have the additional time to make sure that is the right decision for them. The MAXIMA will be available for both the Malibu and Mirage airframes. A two page MAXIMA brochure and price list accompanies this letter. Please contact us to receive further information or to discuss this exciting conversion in greater detail.